…without a mint mark! Sigh! I took Maurice, my XP Deus metal detector, to a city park that opened in 1925. Other hunters in my group have found silver there but I hadn’t yet. Until today that is. It is my second 1916 Mercury dime ever. The first one I found with the AT Pro at a different city park. Neither one of them had the D on the reverse and both of them were in very worn condition. Still, I am happy I pulled silver from this park. It is my life-long goal to pull silver from all pre-1950 parks within the city limits. We’ll see how I do. 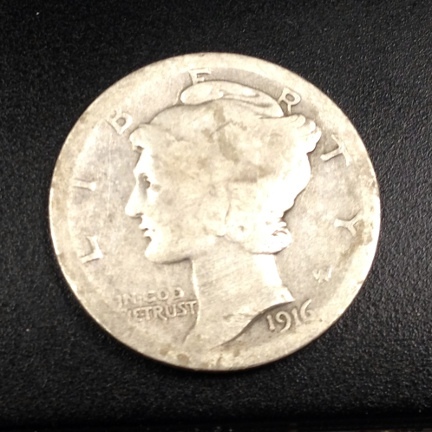 I really like the Mercury dime – maybe it’s the design, but it’s one of my favorite US coins. Nice find. Thank you! 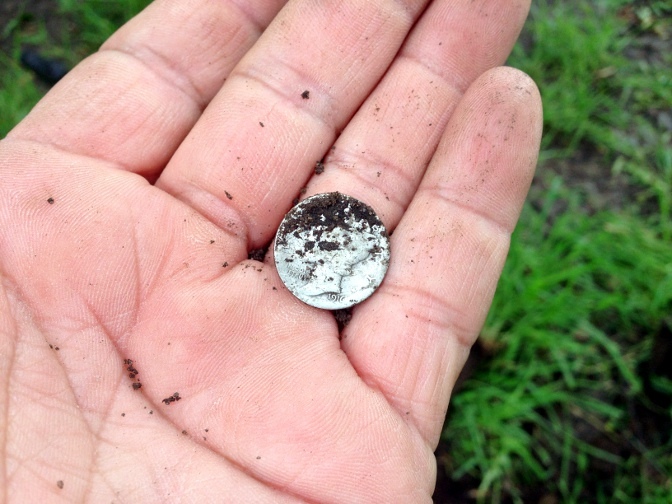 You know, I did not feel like a metal detectorist until I found my first Mercury dime. I love them too.